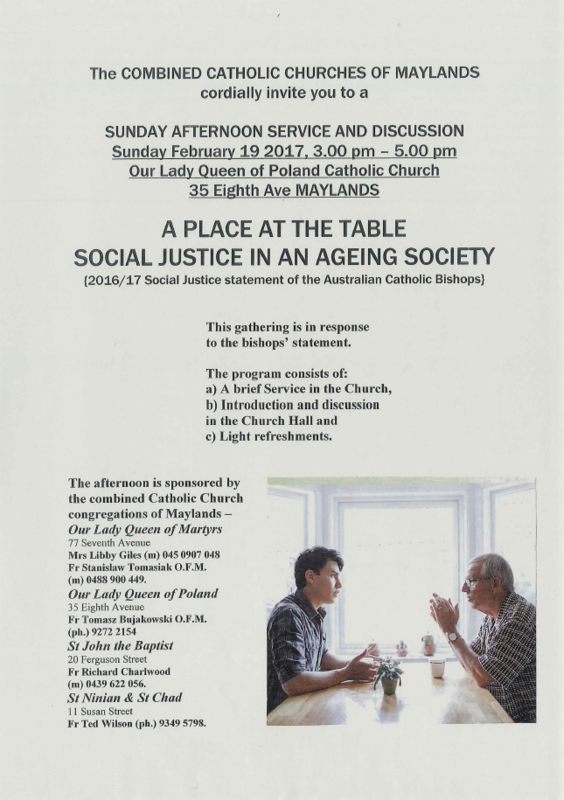 The combined Catholic churches of Maylands will be holding a special service and discussion of the Australian Catholic Bishops’ Conference 2016-17 Social Justice Statement, “A Place at the Table: Social justice in an ageing society,” on Sunday 19th February 2017. This latest statement was launched nationally on 6th September and in Perth on 20th September 2016, and explores some of the challenges and opportunities of an ageing population. 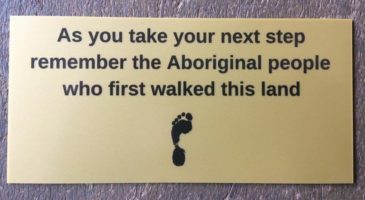 The statement looks at the place of older people in Australian society, and the importance of ensuring their dignity, value and wellbeing are maintained. For more information about the Maylands event in February, please see the flyer below. 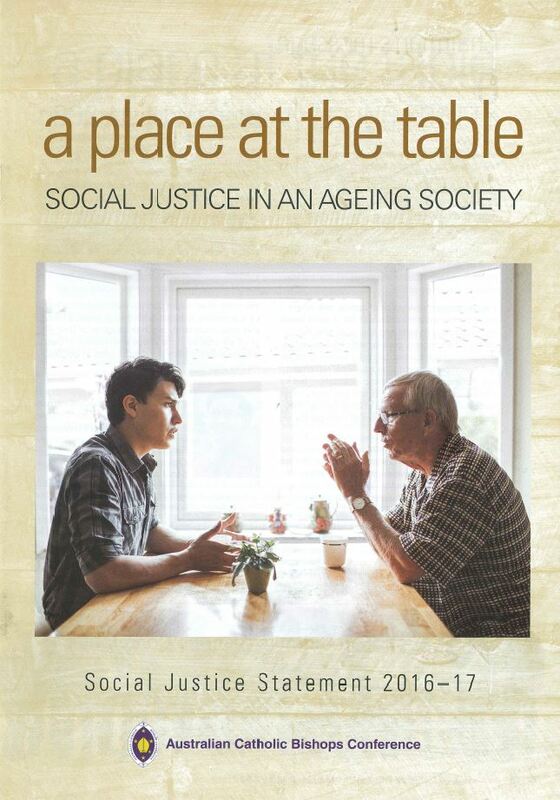 To read or download the Social Justice Statement and related resources, head to the Australian Catholic Social Justice Council (ACSJC) website.